(Matthew 28:6) We have a reason to celebrate today. We absolutely could not be more grateful for this holiday. It’s the foundation of our faith. On Christmas Jesus was born....But everyone’s got a birthday..... On Easter Jesus died and was risen from the dead. He died for us. For you. Because of Him, I have an eternal family. Because of Him, I get to feel joy in my life each day. Because of Him, I get to celebrate holidays, and create righteous traditions with my family- even if some of them may be a little silly. It's Easter! We get the chance to go to church and serve Him. I'm humbled to know how strongly our Heavenly Father loves us. I'm honored to be part of this plan. Let us remember the true meaning behind the holiday today. He is risen, He is alive, and He is faithful to His Word. Trust Him today and let His resurrection power your life! Happy Easter from my home to yours! Happy Easter to you too beautiful! Happy Easter! 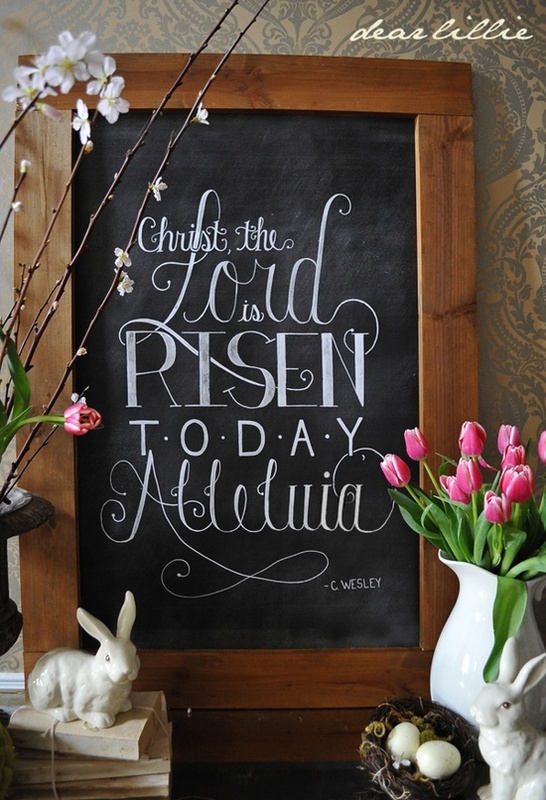 He is risen and I am SO thankful for God's love and grace! This is such a lovely post. Thanks for sharing!